Remodeling a bathroom or considering a new home addition? Let us help you update your home within budget! 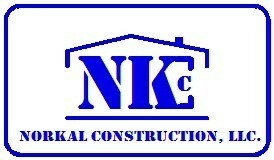 NorKal Construction, LLC. is committed to building long term relationships, with our clients based on integrity, performance value, transparency and client satisfaction. NorKal Construction will continue to meet the changing needs of our clients by offering the best solutions- however small or large and provide quality services using our dedicated and most qualified team members to make your home improvement dreams become reality.